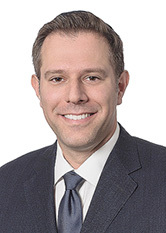 David Mehl represents both individuals and closely held businesses in matters pertaining to business transactions, tax planning, tax litigation and tax residency disputes. His practice also incorporates estate planning, including the restructuring of the ownership of family companies and structuring agreements that balance the interests of managerial and non-managerial partners/shareholders. He earned his juris doctor from Columbia University School of Law, where he was a Harlan Fiske Stone Scholar. Super Lawyers 2018 - Recognized for Tax.